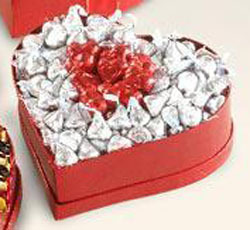 Hershey's Hug Kisses chocolate in a heart shape box. hershey's Kisses hugged by white chocolate. 226 gm.